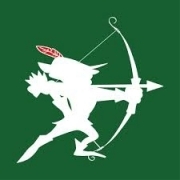 The Robin Hood Army (RHA) is a volunteer based organization that works to get surplus food from Restaurants, Parties etc. to the less fortunate sections of society in cities across India, Pakistan, Indonesia, Australia etc. marching ahead in FIGHT AGAINST Hunger, Wastage of Food and Illteracy. The volunteers are largely young working professionals from various fields. The lesser fortunate sections who the organization reaches out to include homeless families, orphanages, night shelters, home for abandoned children, patients from public hospitals. RHA Ahmedabad is an opportunity for similar idealistic people to come together and form a chapter in each area of Ahmedabad.